Picture it: a Grange Hall filled with a capacity crowd, the newspaper present and taking photos, and non-members asking questions such as “What does your Grange do for the community?” and “How can I join?”. All of this is possible and easily attainable, simply with planning ahead. How many times has your Grange decided to hold an event, waited until the last minute to promote it, and then wondered why it was not in the newspaper and no one from the community was attending? It’s easy to get caught up in thinking about the work that needs to be completed today, and not think about what needs to be completed tomorrow and the outcome if those pieces are rushed or forgotten about all together. Planning is one of the most important functions when promoting your Grange, its events and projects and yet it remains the single most neglected function in all of public relations. New planning starts with the past. Take a look at the mission and vision of your Grange. What successes and failures has your Grange experienced historically? Maybe you’ve had a very successful community concert, but not as successful Neighbor’s Night. Taking action starts in the present. Evaluate what has worked in the past and make a list of those successes. Examine the challenges and note what improvements can be made for the future. Was planning done in advance, or was it rushed? Were the promotions prepared from the start, or submitted at the last minute? Implementation and execution are important. A good place to start once your Grange has decided on an event or project is to establish a timeline, and post it for all involved to follow. Note important dates along the way, and do not miss them. Never assume. Remember that members do have jobs, family responsibilities and a life outside of the Grange, and may not be able to devote all of their time to working on the Grange event. Be prepared, and be flexible. Delegate specific tasks, so that one or two people, or a small group, are not responsible for all the pieces. Plus, it’s never wrong to ask for assistance when the tasks at hand seem overwhelming. Planning ahead saves time and money in the long run. Member burn-out is no longer an issue because you’re working smarter. Many hands make lighter work. Remember to communicate your level of success to everyone involved and thank them for their help. Deadlines vary from newspaper to newspaper, but the absolute latest to submit news and events should be 14 days prior to the event date. Some publications, such as magazines and certain daily and weekly newspapers, prefer news to be submitted 30 to 45 days before an event. 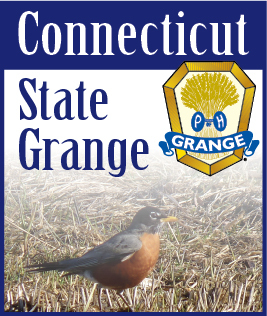 Posters and flyers are a great way to promote your Grange. Hang them throughout your community in libraries, grocery stores, book stores, laundry mats, on kiosks, etc., but be sure to hang them far enough in advance of your event to give the community time to see them. You’ll find that once you’re Grange planning is orderly and organized, you’ll wonder how your Grange ever accomplished its goals with the old chaotic approach. Planning ahead pays off with an improved bottom line, new members, and enthused existing members and volunteers - and that’s what success is all about.